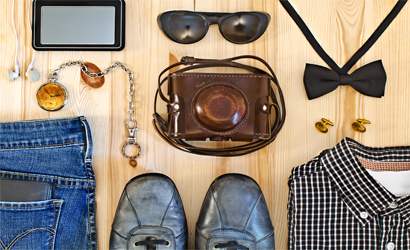 Having your own personal stylist can range from $65 to $200 or more hourly, which can lead many to believe they could never have the same celebrity treatment, such as those who know how to make them look picture perfect. It's also likely, that you may not have time to go through the process of figuring out what to wear. Guys, be prepared for events at the spur of the moment. Ladies, have your special engagement or weekend plans covered. With Virtual Styling you too can get the treatment, plus the perks of saving valuable time and money. Rely on VStylist to keep you in style and up to date with the latest fashions, trends and key pieces. You'll always look 'selfie' worthy! Become an A LA MODE member and refer a friend to receive a free month on VStylist when he/she joins. With approval, your personal stylist will order the fashions and have it shipped directly to you. Combine the 2X personal styling service = 6 complete looks for any occassion. Become a Be Vogue member and refer a friend to receive a $20 gift card for shopping when he/she joins.